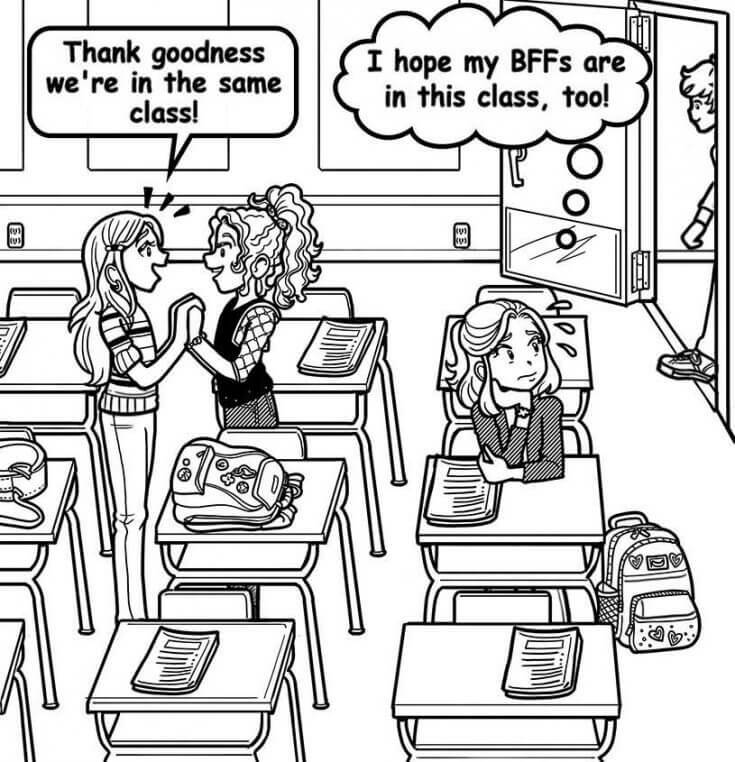 WHAT IF I’M NOT IN THE SAME CLASS WITH MY BFFS?!! 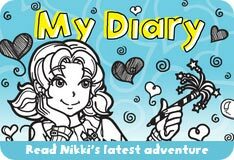 Hey Nikki! Summer is almost ending and I’m so scared about school starting!! WHY!? Because I really want my two BFFs to be in my class!!! We’ve been together since forever!! What do I do? I need help! Oohhh, this is stressful! I especially remember the stress of this in elementary school. Because in most elementary schools, you spend a lot of your time with one class. It gets easier in middle school when you start switching classes. You might not have English and Algebra with your friend, but maybe you’ll have PE and History. However, it sounds like you’re talking about one class, so I’m going to assume you’re in elementary school. First of all, you don’t DO anything except try to stop stressing. Because stressing about it isn’t going to change whether you end up in the same class or not. It’s just going to make you a mess. The only thing you can do is prepare yourself for if you might not be in the same class. It’s a possibility. But, it’s not the end of the world. I promise. I mean, think about it: when you’re in class, you’re not exactly having social time with your friends, right? That happens at lunch, during recess and on the bus. Plus, you can still spend that time with your friends, no matter which class you’re in. So remember that while you’re waiting to find out which classes you’re in. If it turns out you’re not in the same class, make plans to meet for lunch and recess. Maybe arrange extra time outside of school to hang out. But I promise you’ll still get to spend plenty of time together. One thing to keep in mind is that you and one friend might end up together while the third will be in a different class. A relief for the two of you who are together, but the one who’s on her own will probably feel SUPER left out. So in that case, put some extra effort into making her feel included! I’m sure you’ll be okay. So, try to enjoy the last weeks of summer and please don’t worry about it! How do you handle it when you’re in a different class from your BFFs? Tell us in the comments!